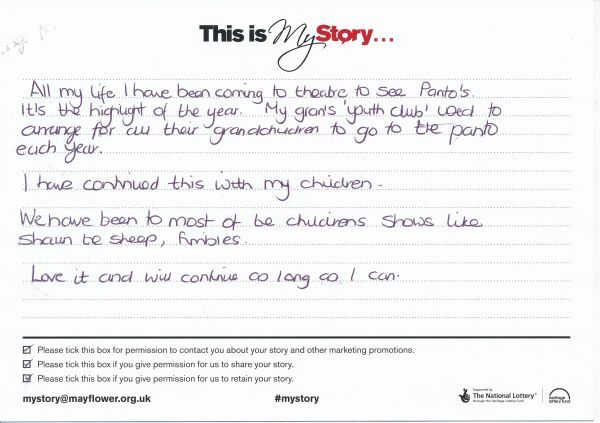 My Story Card: Angela Scammell recalls coming to the theatre to see pantomimes. All my life I have been coming to theatre to see Panto's. It's the hihglight of the year. My gran's 'youth club' used to arrange for all their grandchildren to go to the panto each year. I have continued this with my children. We have been to most of the children's shows like Shaun the Sheep, Fimbles. Love it and will continue as long as I can.